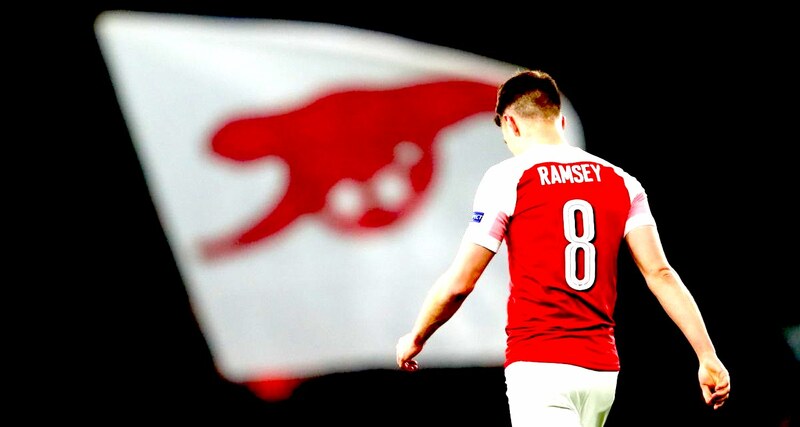 Home Arseblog, the arsenal blog So, how do you replace Aaron Ramsey? One of the questions that cropped up a few times for yesterday’s Arsecast Extra, but one we didn’t get around to, was ‘How do we replace Aaron Ramsey?’. It’s a really curious one because I’d suggest that 6 months ago this wasn’t a burning issue for most people. The team was on an unbeaten run, he was playing his part but generally he was more peripheral than central to what we were doing as his future remained up in the air. Fast forward to now and he’s a key component of this team, a man who is being given a specific job to do by Unai Emery and doing it very well for the most part. Some will say it’s because there’s clarity for him and the manager about what’s happening next. Others that when given a defined role he has the talent and intelligence to carry out to good effect. It might even be a case that ahead of a move to one of Europe’s biggest clubs, Ramsey is making sure that Juventus fans like what they see so his arrival will be fully welcomed. In truth it’s probably a bit of everything but primarily I think it’s because he’s playing in his best position. We all know his attacking threat and his uncanny ability to arrive in the box at exactly the right time. He’s not dissimilar to Robert Pires in that regard, or even Freddie Ljungberg when he was at his pomp. The quality of his movement is exceptional and generally speaking he’s an excellent finisher – although he fluffed his lines on Thursday late on, having already put us ahead in the first half. You can see how it’s tempting to play him further forward, or give him a kind of free role with the basic instruction of ‘Support the attack in the final third’. He had that under Arsene Wenger and sometimes it worked but often it didn’t. I don’t think you can really lay all of that on the player as in the final couple of seasons the teams themselves were sort of dysfunctional, thus complicating assessments of individuals – but there was a kind of indulgence to how he, and others, were used. Under Emery we saw something similar when he took over: he earmarked Ramsey as the man to play behind the striker, to spark the press but without the duties of a deeper lying central midfielder. It was ok, the team’s results were better than the performances, and then as the contract thing became more of an issue as the season went on, Emery appeared to decide that he couldn’t really build a side around a man who was probably going to be leaving. At first I used information from last year or the last two years. Mesut can play like a No 10 player, or starting on the right or left, in a different system, and he has a good mentality. And also Aaron Ramsey can play in a system with two or three midfielders, getting more in the opposition box. It’s almost as if he had a lightbulb moment about the pair, and how he should use them. And I don’t think we should underestimate how complicated their situations have been for a new manager coming into a club at a difficult time, with a lot for him to deal with personally, along with plenty of off-field issues going on too. There’s a happy truce with Ozil right now that is resulting in better performances from the German and which generally feels much healthier than it did back in January. And as for Ramsey, using him in what I feel is his best position – as a genuine central midfielder – has seen his influence grow. When you define his role and insist on greater positional discipline, you get a better Aaron Ramsey than we’ve seen in the past where his licence to roam didn’t really suit him or the team. It’s also worth pointing out that his availability is key to this: the time on the bench and the fact he wasn’t playing as many minutes is likely a major factor as his propensity to pick up muscular injuries hasn’t reared its ugly head. So, back to the original point of ‘How do you replace Aaron Ramsey?’ That is the $64,000 question. How do you replace an intelligent, high quality midfielder in the prime years of his career who has the ability to score as often as he does (more than any other central midfielder in this club’s history), who has a fantastic range of passing, an incredible engine, a willingness to work hard up and down the pitch, with huge experience, who has an eye for big goals in big games and who is, at the heart of it, a consummate professional on and off the pitch? I’m not sure there’s a like for like replacement out there. If there is, he’s a player who would have plenty of options available to him this summer, and might well not view Arsenal are his first choice destination. We’re probably looking at a remodelling of our midfield in general rather than constricting ourselves to find the a single player who can do all the things Ramsey can do. It’s much more likely that we’ll have to find a couple of players to do it. His qualities and skills aren’t necessarily unique to him, but we’ll struggle to find them all in one handsome package. I’ve also gone through this entire post without mentioning what a ludicrous thing it is for us to be losing a player this good for free. I know it takes two to tango and all that, but if one of the tangoers doesn’t want to tango, you go find someone else who does and then you sell the reluctant tangoer, painful and difficult as that might be because you’ve had some lovely tangos down the years. Basically, I blame Ivan Gazidis 100% and I refuse to justify or discuss this in any way because I have to take the dogs out. Right, if you haven’t had a chance to listen to yesterday’s Arsecast Extra there’s a lot of post-Napoli enjoyment so download/listen/subscribe and I’ll be back tomorrow with more. Until then.